Yes, this might top the Most Cliche Quotes of All Time list, but that’s because Hemingway was onto something. Paris is so rich in culture that simply wandering the city’s archetypal streets can sweep you off your feet and back into time alongside history and fiction’s greatest hits. Where do we even begin? If you’re a film, literature or history buff like me, prepare yourself for pure bliss, or in other words: idyllic streets, cafes, bookstores and monuments galore. Shall we start with Victor Hugo and if so, the Hunchback of Notre Dame or Les Miserables? Do we want to explore Woody Allen’s historical dream world of Midnight in Paris? Or should we meander the streets of Montmartre, and imagine we are extras in Jean-Pierre Jeunet’s Amelie? So my culture junkie friends, here is a little starter kit for exploring Paris, highlighting just a few of the places literati, film and history buffs will positively drool over. If you’ve seen Midnight in Paris or Don Bluth’s animated film Anastasia, strolling across the exquisite Beaux Arts Pont Alexandre III is a must. Even if you haven’t, your inner history buff and aesthetic extraordinaire will swoon over Pont Alexandre III. Leave it to the French to deem overindulgent glittering sculptures of nymphs and winged horses a national heritage site. You can’t miss the killer views of the Grand Palais on the right bank, Les Invalides on the far left and as always, the Eiffel Tower is just hangin’ out in the distance. And for the ideal sunset stroll, head across to any of the nearby Pont des Invalides, Pont d'Alma or Pont d'Iéna just in time to see the Eiffel Tower’s first twinkle of the evening. Les Invalides was commissioned by Louis XIV in 1670 and upon completion, the complex served as a hospital for war veterans. 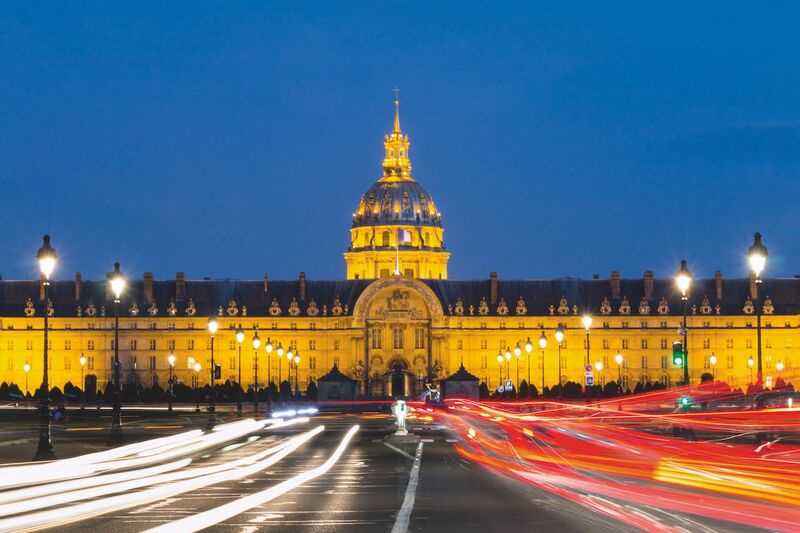 Today, the domed baroque structure is home to museums and monuments dedicated to the military history of France. But perhaps the most important site in the complex is Dôme des Invalides, where you can admire the tomb of the tiny but formidable French leader Napoleon Bonaparte. Nothing says the city of love quite like staring at the tomb of Napolean Bonaparte. The Cathedral of Notre-Dame, which is located on the right bank of the River Seine, is one of the most seminal churches in the world. Though associated with the Gothic period, its architecture is actually a combination of Gothic and Romanesque, simply because it took so long to build and, well, tastes change over the span of a century. The church is also famously the backdrop of Victor Hugo’s 1831 Gothic novel, The Hunchback of Notre-Dame, which was later adapted to the Disney movie we all know and some of us love. 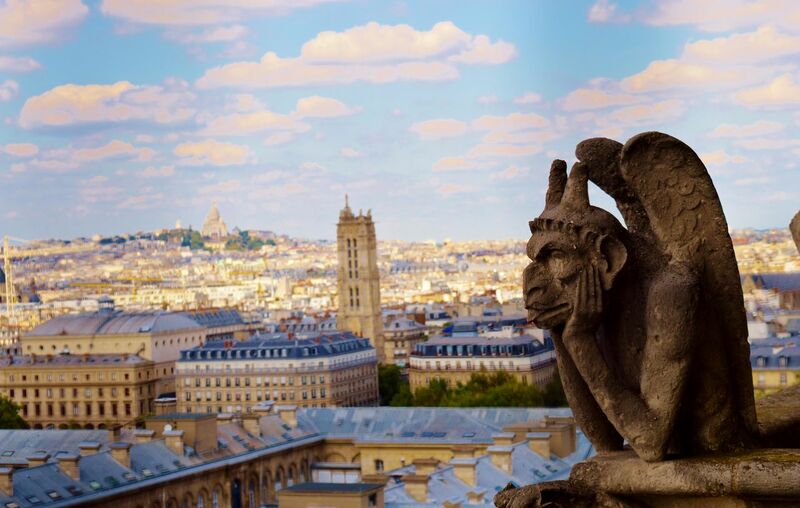 You can pretend you’re hanging with the tragic literary hunchbacked hero if you climb up a narrow flight of 387 stairs, which, in addition to offering a fantastic view of the city, is also a way to get up close and personal with the stone chimeras. The Notre-Dame was also featured in Pixar’s Ratatouille, so basically Disney really likes this church, and who can blame them. The gargoyle is not amused. Speaking of Victor Hugo … the writer, poet and politician extraordinaire lived in Paris for 16 years at the Maison de Victor Hugo, which is now a museum and can be visited everyday except Monday. He died in 1885 and is buried in a crypt of the Panthéon, where other notable French luminaries like Alexandre Dumas, Marie Curie, Louis Braille, and Voltaire are also buried. 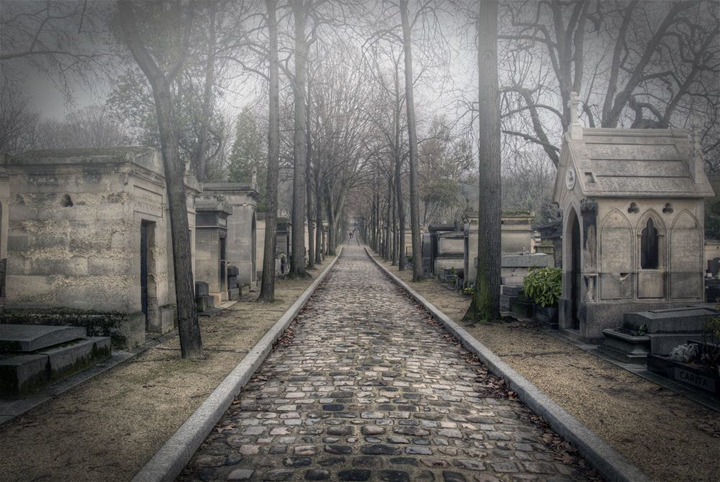 To see even more famous graves, head to the largest cemetery in Paris’ city limits, Cimetière du Père-Lachaise and visit the graves of Oscar Wilde, Jim Morrison, Edith Piaf, Victor Noir and many others. 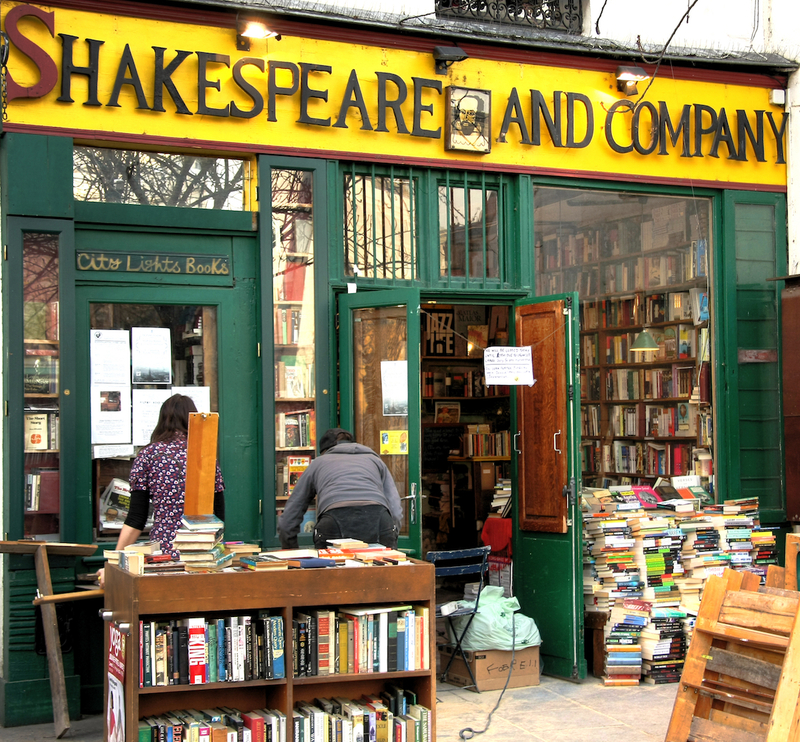 Bookworms in particular will not want to miss out on the infamous bookstore, Shakespeare and Company. To come full circle , the shop is mentioned in Hemingway’s novel, A Moveable Feast and is featured in Woody Allen’s Midnight in Paris (which also features Hemingway). It was first opened in 1919 by Sylvia Beach, an American expat, and for the next few years in the immediate post-WWI period, it was frequented by authors Ernest Hemingway, Scott Fitzgerald and James Joyce. Even today, the store is a favorite among all book lovers. To top it off, Shakespeare and Company has a few beds for book-loving travelers who are willing to work a few hours in the store. Doesn’t that sound like the best trade-off in the world? To sleep in the musky aura of books, even for a night? No? More of a cinephile? Shakespeare and Company ... where you can buy books, and sleep with them too! Fall in love with someone you've never spoken to or just enjoy the quiche at Café des Deux Moulins. Head on up to the neighborhood of Montmartre to grab a bite at Café des Deux Moulins. 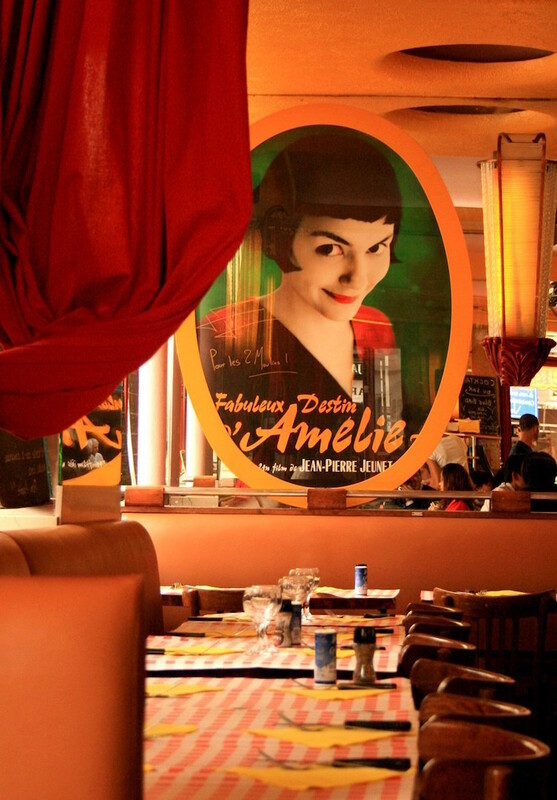 It may seem like just another French cafe, but upon entry, film fans will recognize it as the cafe that served as Amelie’s place of work in Jean-Pierre Jeunet’s 2001 Amelie. And while you’re in the historically artist-driven area, don’t miss the iconic red windmill of the Moulin Rouge and Sacré-Cœur at the top of the hill. As you look down from the top of Paris, consider all the stories that have unfurled here and how many more have yet to be written. Perhaps you’ll find inspiration to share your own moveable feast—or a rat that can cook remarkably well. You can also just stand there and breathe it all in. Menorca is an Indian expat who has studied and worked in Germany and Switzerland. She blogs about living and travelling in Europe on her blog, Europe Diaries, which focuses on experiences, culture and food. You can also find her on Twitter at twitter.com/europediaries, Facebook at facebook.com/europediaries and Instagram @menorca_c. The Seine is a 776-kilometre long river and an important commercial waterway within the Paris Basin in the north of France. Victor Hugo's evocative apartment, decorated with original furniture, plus artifacts and sketches. 18th-century mausoleum with colonnaded facade, housing remains of notable French citizens.